Instead of taking our time getting there like the last couple of times, we did the journey with just one overnight stop. This involved a rare and unpleasant early departure (6am) to catch our eurotunnel train to make sure we missed the worst of the M25 rush hour. Glad to say all went smoothly and we were in Calais by 9:30. Uncharacteristically we decided not to book a hotel and decided to see how far we could get. The weather was appalling, and with kids desperate for a run around we thought of going into Reims for a meal when we saw our rainy day nirvana: IKEA - for health reasons not to be attempted with an empty car on a weekend/half term - but in our case with no space for purchases in the car on a wet Thursday it was ideal. After meatballs and chips the kids had a good run around and play in the kiddy area before we set off again. We were getting tyred by Troyes so we booked a Holiday Inn in Dijon, the kids as usual were delighted and ran in cheering (I don't get it, but it's handy when travelling). 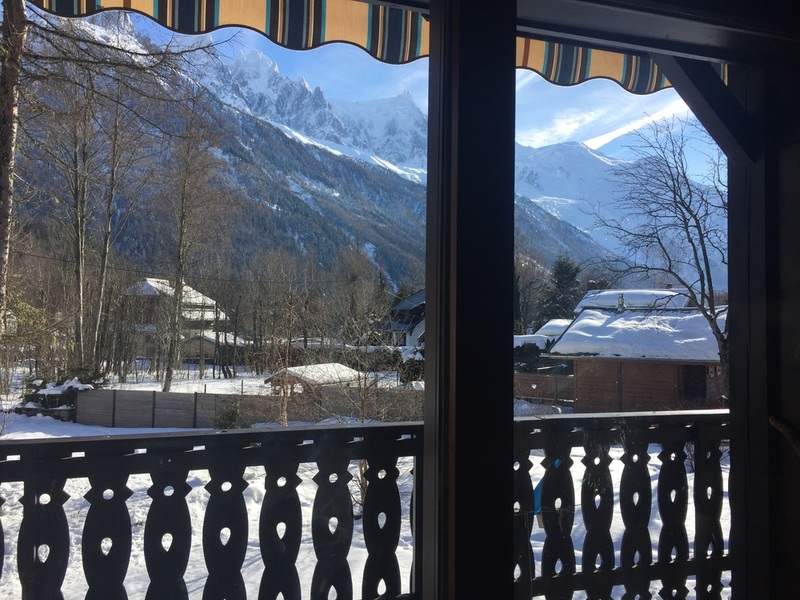 Next morning after splashing out on F's favourite thing (hotel breakfast buffet) we drove the remaining miles to a gloriously sunny Chamonix. All the precipitation that fell on us on the way down here had dropped 30cm of fresh snow this high up which the kids promptly jumped into. After soaking their travel clothes in seconds, we escavated their snow suits and they ran around like crazy while we unpacked.